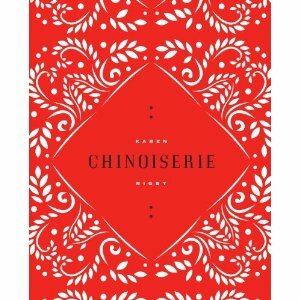 Winner of the 2011 Sawtooth Poetry Prize, judged by Paul Hoover, Karen Rigby’s Chinoiserie is a refreshing body of work. Let’s start with first glance: the contemporary design gives each poem plenty of breathing room (read: white space). And the designer isn’t the only one who appreciates white space: there’s the form of the poems themselves. While many poems move straight down the margin of the page, there are just as many that meander, pulling us back and forth, creating dynamic white space; a visual form of enjambment. Not only does this white space please the eye, but it naturally aids the reading, creating thoughtful pauses, asides, and focus. Rigby’s poetry has been published in two previous chapbooks (Savage Machinery and Festival Bone), as well as in Poetry Daily, Washington Square, Meridian, Field, Black Warrior Review, Quarterly West and New England Review. She is also a founding editor of Cerise Press and also freelance writes reviews and more.